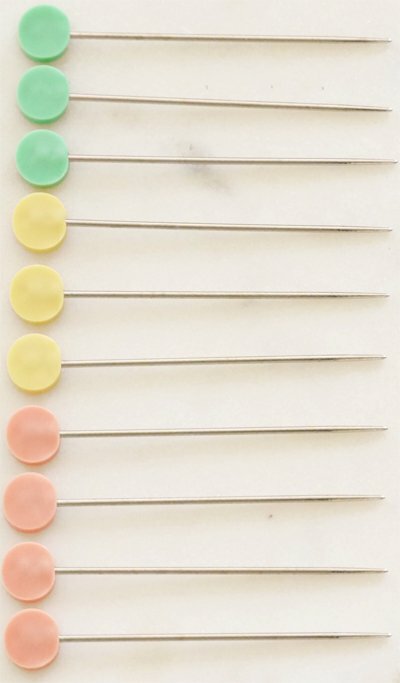 Marking pins for knitting, 10/pack. Marking pins with a blunt tip will not split yarns. Used for pinning sleeves, seams or basting a pocket.